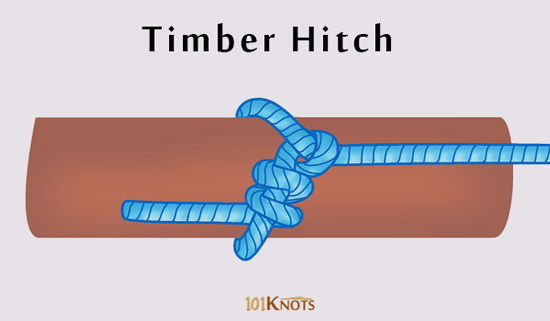 The timber hitch is used to secure a rope round a post or any cylindrical object. It is also known as Bowyer’s Knot owing to its use in attaching the end of the bowstring to a longbow. 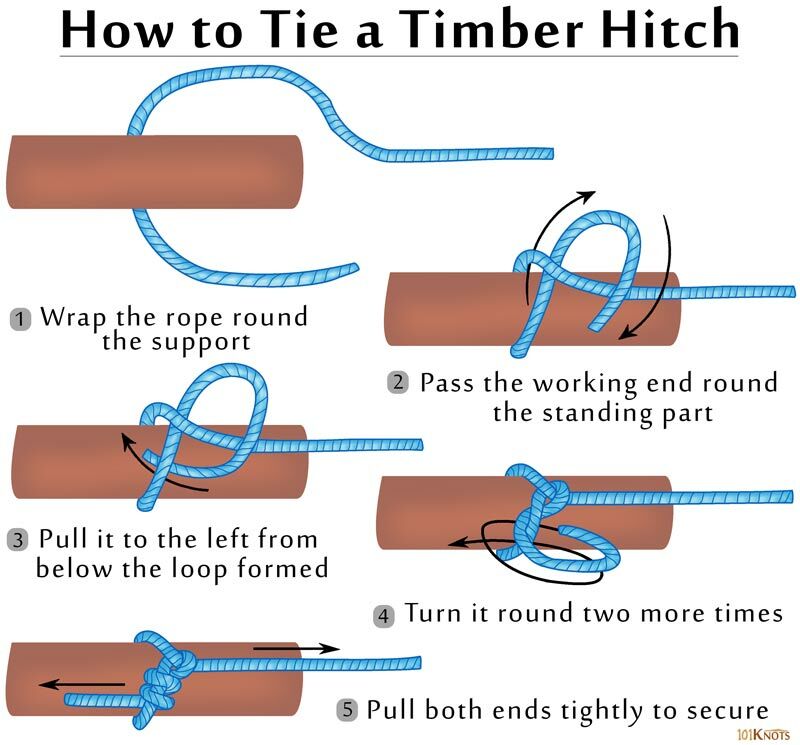 Sailors often add a half hitch in front of the timber hitch for extra stability while lowering long items or towing. This modification is known as the Killick hitch. Easy to tie and untie even under a heavy load. Free from jamming or slipping. Secure only as long as tension is maintained. As per The Ashley Book of Knots, its main use lies in handling cargo. Helpful for towing a log or a spar in water or on land. Used by arborists and lumbermen to attach ropes to branches, tree trunks and logs. To connect the strings of the guitar and ukelele to their bridges.